A serial killer is on the loose in Richmond, Virginia. Three women have died, brutalised and strangled in their own bedroom. There is no pattern: the killer appears to strike at random – but always early on Saturday mornings. So when Dr Kay Scarpetta, chief medical officer, is awakened at 2.33 am, she knows the news is bad: there is a fourth victim. And she fears now for those that will follow unless she can dig up new forensic evidence to aid the police. 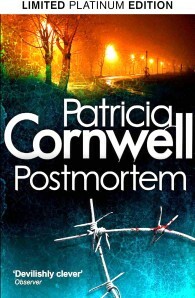 Patricia Cornwell's first crime novel, Postmortem, was published in 1990 and became the first novel to win all the major crime awards in a single year. In 2011 she was awarded the Medal of Chevalier of the Order of Arts and Letters. Often interviewed on US national television as a forensic consultant, Cornwell is a founder of the Virginia Institute of Forensic Science and Medicine; a founding member of the National Forensic Academy; a member of the Advisory Board for the Forensic Sciences Training Program at the Office of the Chief Medical Examiner, NYC and a member of the Harvard-affiliated McLean Hospital's National Council, where she is an advocate for psychiatric research. Fox have acquired the film rights to the Scarpetta novels, featuring Angelina Jolie as Dr Kay Scarpetta. Cornwell's books are translated into thirty-six languages across more than fifty countries, and she is regarded as one of the major international bestselling authors.